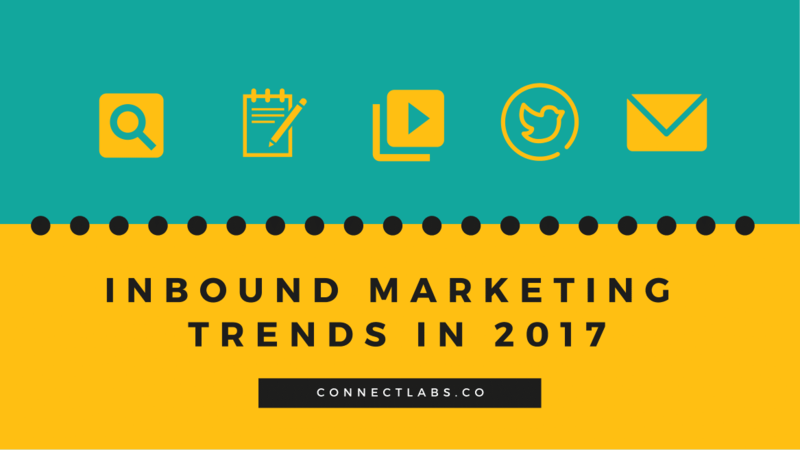 In 2017, inbound marketing will continue to be the most effective marketing strategy in the areas of SEO, content marketing, social media, video marketing and email marketing. 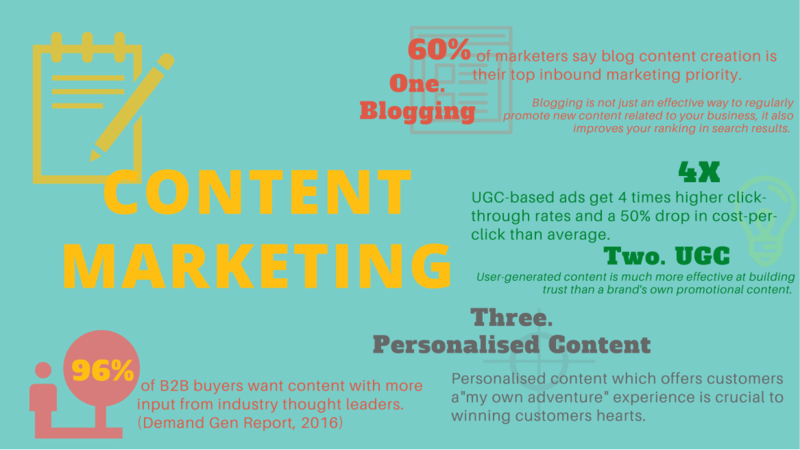 We summarised 15 trends in the five areas of inbound marketing based on recent statistics. The total number of searches on mobile devices has seen a 43% increase year-over-year. Google’s algorithm updates last year ensured that mobile-friendly websites have a favourable ranking on mobile searches. 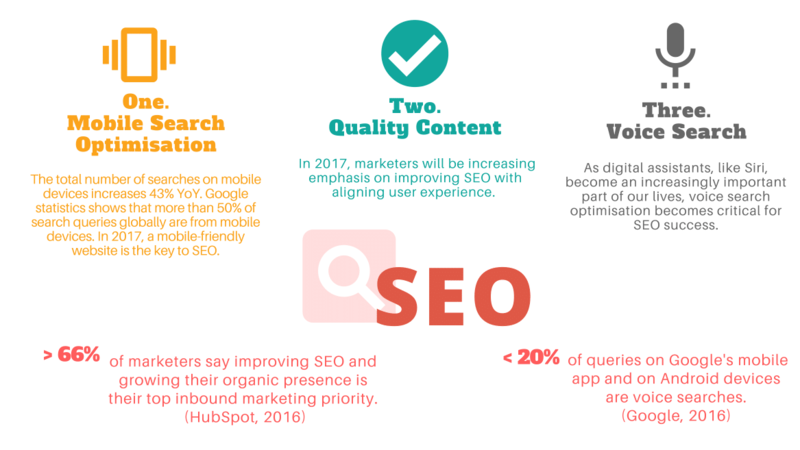 In 2017, a mobile-friendly website is the key to SEO. In 2017, we see marketers’ increasing emphasis on improving SEO with aligning user experience. For inbound marketers, understanding your buyer personas and creating high-quality content around the buyer’s journey is crucial. As digital assistants like Siri and Cortana become an increasingly important part of our lives, voice search optimisation becomes critical for SEO success. A survey of 39 SEO experts ranked voice search third for SEO trends for 2017 and beyond. In 2017, storytelling will become a key part of content marketing. Blogging is an effective way to regularly publish and promote new content related to your business and industry. By posting blog entries online, marketers can increase their chances of ranking in search results and being shared on social media. 85% of people trust content made by others more than they trust brands’ content. User-generated content can be social shares, reviews, comments and YouTube videos. It has been shown to be more effective at building trust than a brand’s own promotional content. As content marketing becomes more popular, it’s also going to become more competitive. Personalised content which offers customers a 'my own adventure' experience is crucial to winning customers' hearts. Thanks to the Pokémon Go sensation last year, social media platforms are now getting onboard with the augmented reality trend. Snapchat’s filter, Facebook’s live filter and Instagram Stories are some of the ways augmented reality is being added to social media. Websites are increasingly using chatbots to improve customer service by providing a quick and conversational response. In 2017, it will become even more popular as more people prefer self-service to phone calls for customer support. 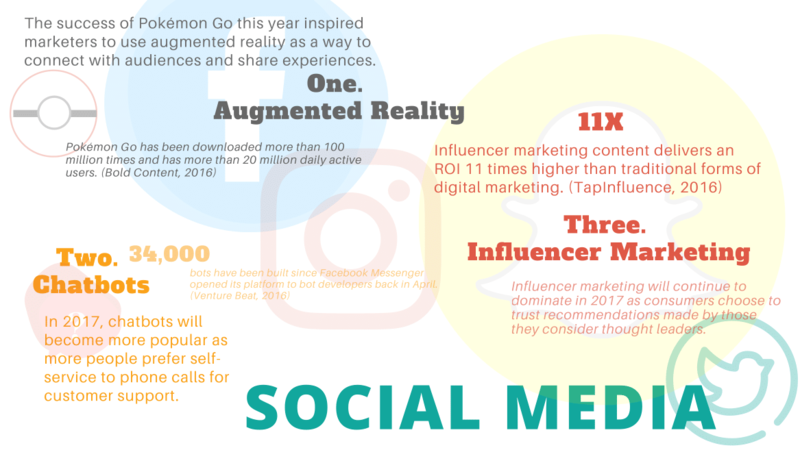 Influencer marketing will continue to dominate in 2017 as consumers choose to trust recommendations made by those they consider thought-leaders. Real-time streaming brings a new opportunity to marketers to engage with audiences in a more human way. 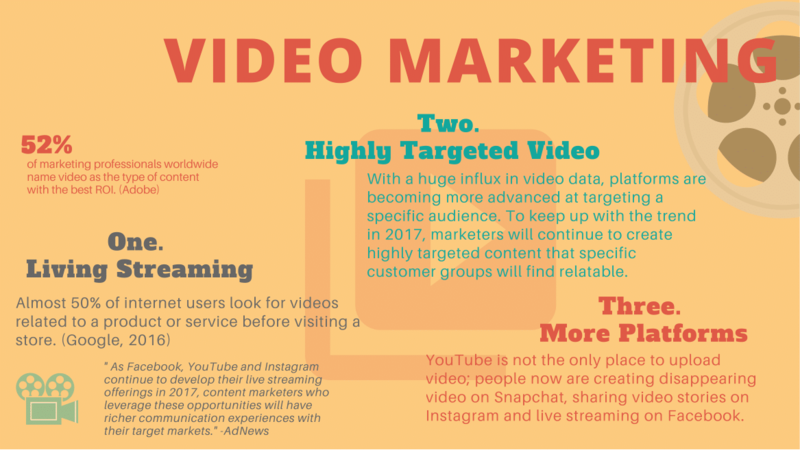 As Facebook, YouTube and Instagram continue to develop their live streaming offerings in 2017, content marketers who leverage these opportunities will have richer communication experiences with their target markets. With a huge influx in video data, platforms are becoming more advanced at targeting a specific audience. To keep up with the trend in 2017, marketers will continue to create highly targeted content that specific customer groups find that it relatable. YouTube is not the only place to upload video; people now are creating disappearing video on SnapChat, sharing video stories on Instagram and live streaming on Facebook. In 2017, email automation software is expected to not just send automated emails, but to also run workflows, send confirmations and create newsletter sign ups – all personalised with the help of data. To be an excellent storyteller and build unique customer experience, marketers need to develop email marketing content that touch various parts of a consumer’s journey with the brand. Econsultancy research shows that a greater use of dynamic elements (video, GIFs, countdown clocks, etc.) 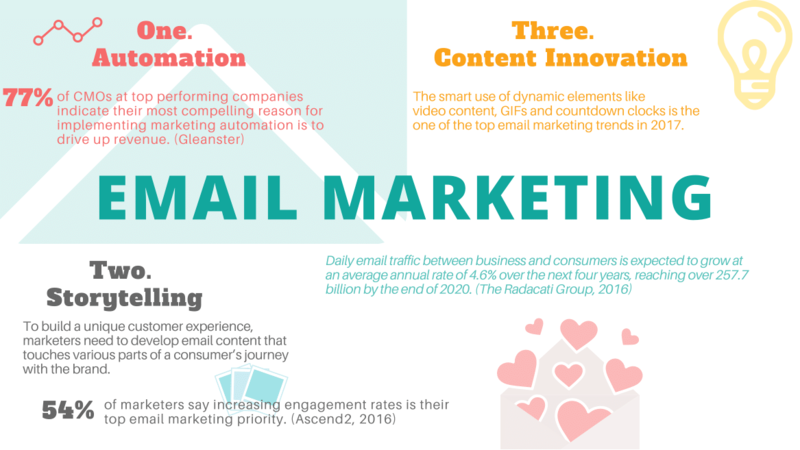 is one of the top email marketing trends in 2017.